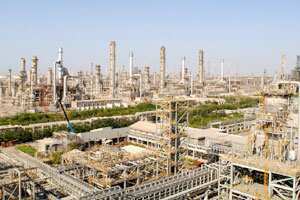 New Delhi: Reliance Industries (RIL) is currently selling two to three million tonnes of petroleum products a year to Africa and sees potential for more, P. Raghavendran, the company’s president of refinery business, said on Saturday. “Volumes going into Africa are far lower than the potential. Once African product specification comes up to Indian levels and global levels there will be a lot more potential," Raghavendran said. Asked if Reliance is looking at expanding Gapco’s operations on the continent, he said: “We are looking at opportunities and wherever there is some potential and it’s economically justified we are looking at those." Reliance currently exports most of the fuels from its giant complex as India does not compensate private refiners for selling fuels such as diesel and kerosene at subsidized rates mandated by the government. Gasoline prices were liberalized in June 2010. Its major markets are the United States, Europe, Latin America and Asia. Reliance is currently operating 600 fuel stations, mainly in western and southern India, out of the 1,400 it has in the country. Raghavendran said the company would not expand its local retail operations unless it gets a level playing field. “The world has to be the same for everyone," he said.